The Office of U.S. Foreign Disaster Assistance (OFDA) is responsible for leading and coordinating the U.S. government’s response to disasters overseas. OFDA responds to an average of 65 disasters in more than 50 countries every year to ensure aid reaches people affected by rapid on-set disasters—such as earthquakes, volcanoes, and floods—and slow-onset crises, including drought and conflict. 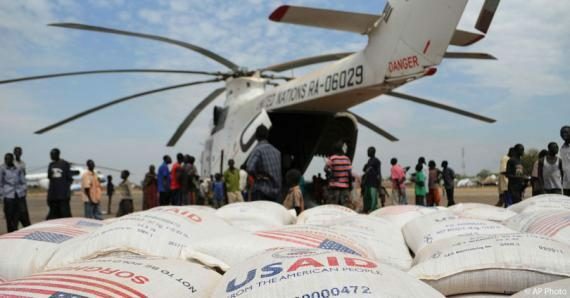 OFDA fulfills its mandate of saving lives, alleviating human suffering, and reducing the social and economic impact of disasters worldwide in partnership with USAID functional and regional bureaus and other U.S. Government agencies. The Office of Food for Peace (FFP) works to reduce hunger and malnutrition and ensure that all people at all times have access to sufficient food for a healthy and productive life. 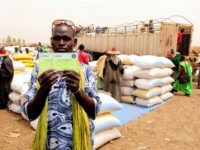 By monitoring regional food insecurity, FFP can work with field-based partners using various program tools and approaches to save lives, tackle chronic undernutrition and help the most vulnerable break the cycle of poverty and hunger. FFP’s programs bring together relief and development efforts so that humanitarian assistance contributes to the long-term benefits for local populations even as we save lives. The mission of the Bureau of Population, Refugees, and Migration (PRM) is to provide protection, ease suffering, and resolve the plight of persecuted and uprooted people around the world on behalf of the American people by providing life-sustaining assistance, working through multilateral systems to build global partnerships, promoting best practices in humanitarian response, and ensuring that humanitarian principles are thoroughly integrated into U.S. foreign and national security policy. The McGovern–Dole International Food for Education and Child Nutrition Program helps support education, child development and food security in low-income, food-deficit countries around the globe. The program provides for the donation of U.S. agricultural commodities, as well as financial and technical assistance, to support school feeding and maternal and child nutrition projects. The key objective of the McGovern-Dole Program is to reduce hunger and improve literacy and primary education, especially for girls. By providing school meals, teacher training and related support, McGovern-Dole projects help boost school enrollment and academic performance. At the same time, the program also focuses on improving children’s health and learning capacity before they enter school by offering nutrition programs for pregnant and nursing women, infants and pre-schoolers. Sustainability is an important aspect of the McGovern-Dole Program. FAS and its partner organizations work to ensure that the communities served by the program can ultimately continue the sponsored activities on their own or with support from other sources such as the host government or local community. McGovern-Dole projects are conducted by non-profit charitable organizations, cooperatives, the United Nations World Food Program and other international organizations. FAS announces a list of priority countries each year, based on factors such as per-capita income and literacy and malnutrition rates. The McGovern-Dole Program is named in honor of Ambassador and former U.S. Senator George McGovern and former U.S. Senator Robert Dole in recognition of their tireless efforts to eradicate childhood hunger. 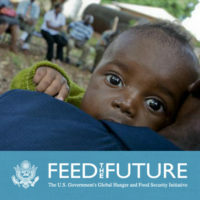 The Bureau for Food Security was created in November 2010 to manage the Feed the Future initiative, as well as traditional agricultural development programs under USAID. USAID has a long history of technical leadership in international agricultural development, drawing upon the expertise of U.S. universities, industry, non-governmental and private voluntary organizations, multilateral development partners and its own technical staff. The Bureau for Food Security, which leads the Feed the Future initiative, leverages the strengths of other U.S. government partners, multilateral institutions, NGOs, the private sector, universities and civil society organizations to support country-driven strategies, and invests in strengthening both public and private institutions that underpin growth in the agricultural sector. Feed the Future brings partners together to help some of the world’s poorest countries harness the power of agriculture to jumpstart their economies and create new opportunities for greater health, security and prosperity. This involves work both on and off the farm, from helping farmers boost production and nutrition to fostering business investment and economic growth. By helping people connect with the knowledge and tools they need to feed themselves, we are addressing the root causes of poverty and hunger, helping people end their reliance on aid, and creating important opportunities for a new generation of young people, while building a more stable world.
. Learn more in this Feed the Future overview fact sheet (pdf, 321.2kb).